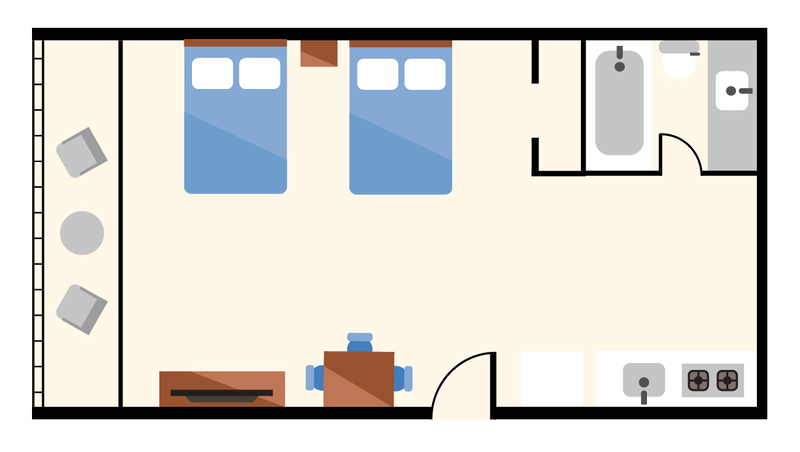 Captain’s Quarters interior efficiency apartments consist of two queen beds, one bath, a kitchen with full size refrigerator, microwave, stove, toaster, coffee maker, and basic cookware and dinnerware. 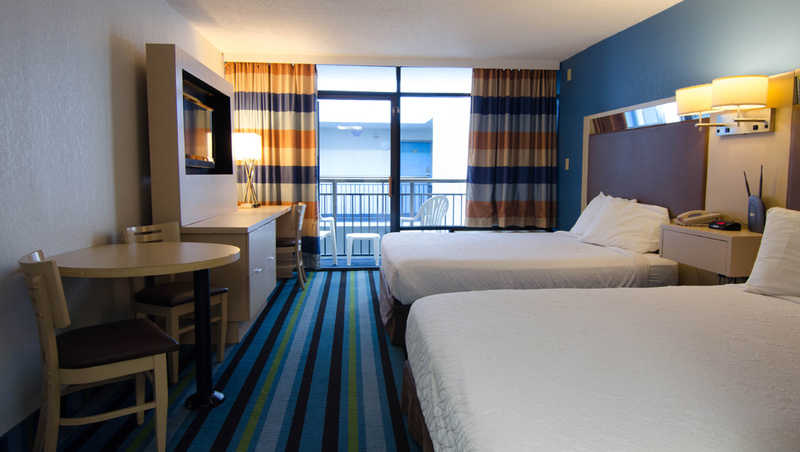 All resort guests enjoy free voicemail, a flat-screen television, complimentary wireless Internet access, a hair dryer, safe, and iron/ironing board. Daily housekeeping, linens and towels are included in rates. 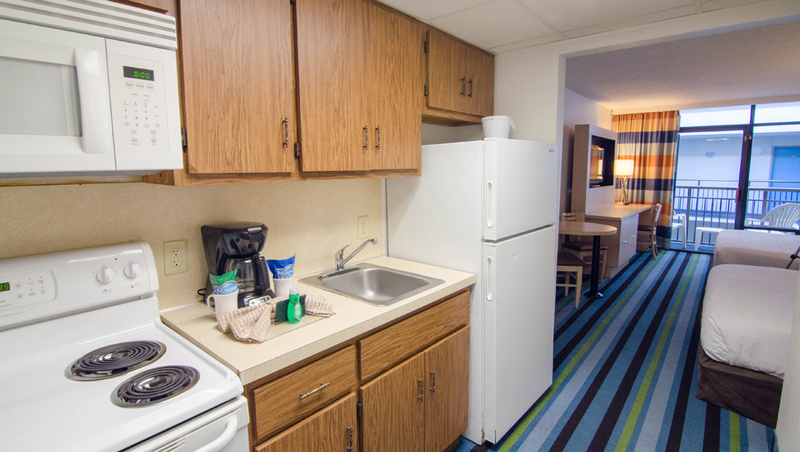 Resort guests have access to laundry facilities on site. Interior efficiency apartments have a private balcony with a no ocean view.